vSphere 5 offers new capabilities for enterprises to bolster their virtualization security. With the release of VMware’s latest vSphere edition, version 5, this summer, security professionals have new features to help them lock down their virtualized infrastructure. The biggest change with vSphere 5 for security is the addition of a firewall to ESXi. Previously, only ESX came with a firewall. Although the ESXi firewall is stateless, acting essentially as a simple packet filter, and isn’t nearly as robust as commercial virtual firewalls, it adds another layer of defense to a virtualization deployment. For the most part, it’s equivalent to the Service Console firewall on ESX platforms, and enterprises should strongly consider adding it to their virtualization security strategy. In this tip, we’ll examine the ESXi firewall functionality and take a look at other security features in vSphere 5. The firewall is most often managed through the vCenter management console by selecting the ESXi server you want to configure, and then selecting Configuration followed by Security Profile. The existing firewall rule set will be displayed, with incoming and outgoing connections and services along with their respective TCP and UDP port numbers. The ability to configure both incoming and outgoing ports is a new capability, and is simply managed by selecting Properties, choosing a rule, and modifying the port settings for it. ESXi 5’s firewall has one interesting anomaly related to Network File System (NFS) storage. The default rule set has a service defined called nfsClient. The ESXi server will automatically enable this service when NFS storage is added or mounted, and the IP address of the NFS store will be added to the rule as a trusted host. 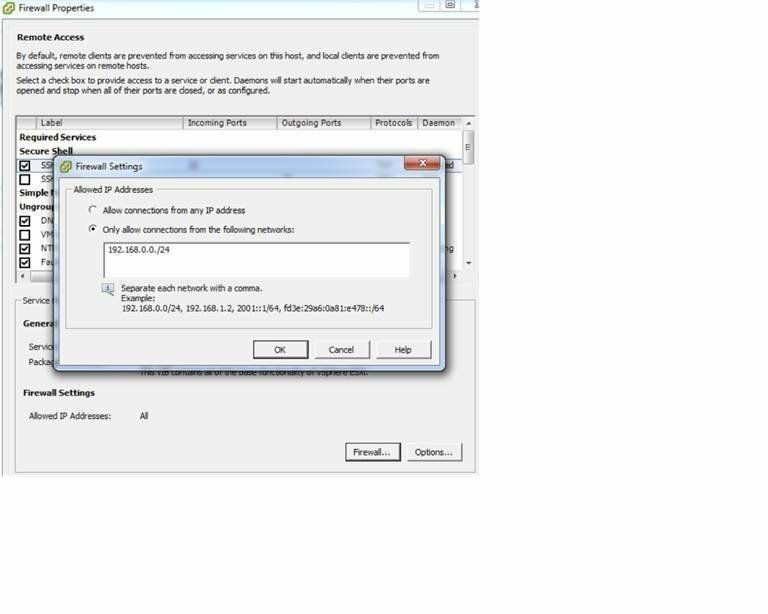 Unmounting NFS stores can also cause the ESXi server to automatically disable the nfsClient rules. Although this is generally a helpful feature, any automation of firewall rule behavior can potentially lead to unwanted restrictions or traffic. vSphere 5 includes a new “integrity check” feature for Host Profiles, allowing administrators to verify a hypervisor’s overall configuration state before communicating with it. These levels range from well secured (“VMware Certified”) to loose (“Community Supported”). Logging capabilities have also been enhanced in ESXi version 5, allowing TCP, UDP and SSL-based logging. 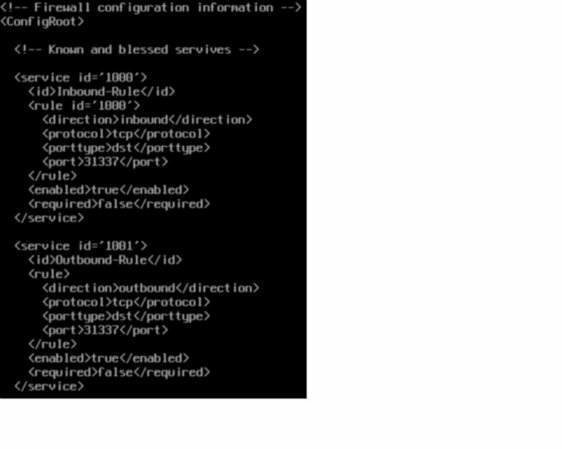 Logging has been streamlined into a single configuration file (/etc/vmsyslog.conf) and individual services’ logging configuration files can be found in /etc/vmsyslog.conf.d folder. Many more options for configuration are available, including specification of multiple remote log hosts and improved log rotation.